"Have you seen a dog pass by?" The Match Factory has released the first official trailer for an indie comedy titled Smuggling Hendrix, which premiered at the Tribeca Film Festival. The film is about a man from Cyprus planning to leave the island until his dog runs off and crosses the UN Buffer Zone that separates the "Greek South" from the "Turkish North". He must figure out how to bring him back across. Starring Adam Bousdoukos, Vicky Papadopoulou, Fatih Al, Toni Dimitriou, and Özgür Karadeniz. "Through the simple story of a man who loses his dog, Smuggling Hendrix gives a vivid demonstration of how the fences we build, both real and imagined, between ourselves and others, can be broken down once we recognize the familiarity in the face of the unknown." I'm a dog lover so I'm totally into this, but it also looks damn good. Yiannis (Adam Bousdoukos), a fading musician, is planning to leave crisis-ridden Cyprus for a better life abroad. His plans are put on hold when his dog Jimi runs away and crosses the UN buffer zone that divides the "Greek" from the "Turkish" side of the island. Since animal exchange between the two "sides" is prohibited, Yiannis reluctantly joins forces with Hasan (Fatih Al) and a cast of unexpected characters to smuggle his best friend back. 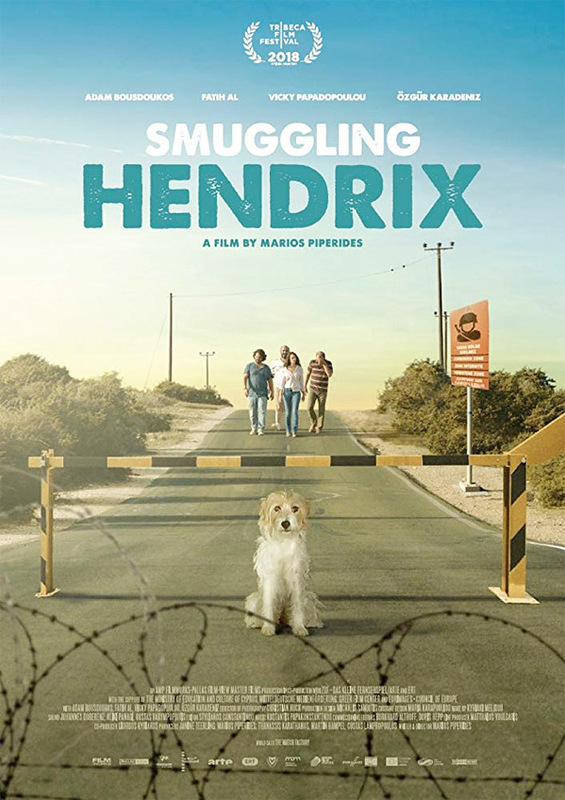 Smuggling Hendrix is written and directed by Cypriot filmmaker Marios Piperides, making his feature directorial debut after making the documentary The Last Remaining Seats previously, and a few short films. This first premiered at the Tribeca Film Festival earlier this year. The film is still seeking US distribution, and has no official release dates set yet. Stay tuned for updates. Interested?